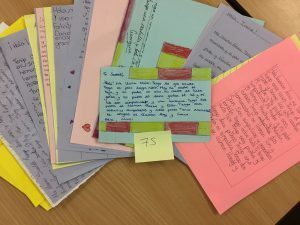 Wellington School has been celebrating Fairtrade Fortnight and International Women’s Day today! 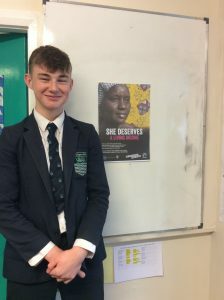 Mr Cropper’s Year 12 Business Studies students have created posters and PowerPoints that have been displayed around school to raise awareness of Fairtrade. They are busy filming an informative video in today’s lesson, which we look forward to showcasing next week in tutor time. 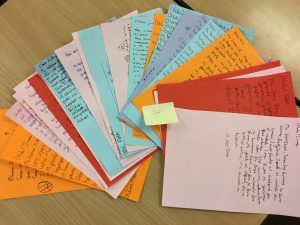 French classes in Years 8,9 and 10 have been learning about cocoa famers on the Ivory Coast and how their lives have been impacted by the Fairtrade Premium. They have also learnt some choc-tastic French vocabulary! 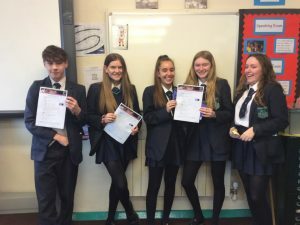 The MFL corridor was a hive of activity this lunchtime, with pupils from Year 11 congregating to listen to traditional music from the Ivory Coast and complete a quiz on Fairtrade Facts. The winners were given some yummy Fairtrade Chocolate prizes! 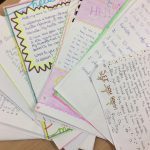 Year 7 have just completed their second letters to their penpals in Spain. 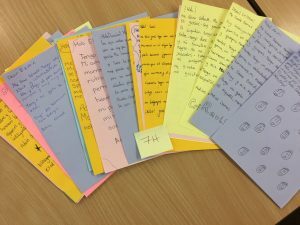 After learning how to describe themselves and their families pupils from 7H, 7F, 7I and 7S and written all about themselves, their families and pets including saying what they like and don’t like. 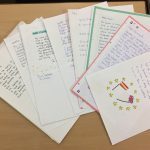 I am so impressed with their work and I know the pupils in Málaga, Spain will be delighted when they read the letters. ¡Buen trabajo! 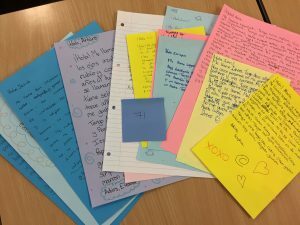 Pupils in year 7 were delighted to receive their first letters from their pen pals in Málaga, Spain. 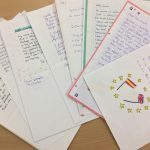 The Spanish pupils introduced themselves and described their family, pets and favourite school subjects in response to our letters that we sent before the Christmas holidays. 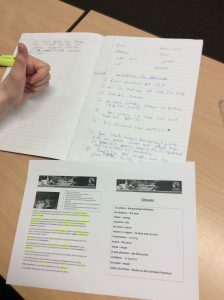 We are looking forward to contacting them next week online via etwinning. ¡fenominal!